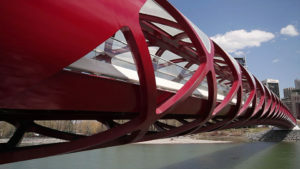 This video was commissioned by The City of Calgary to highlight Calgary’s newest city landmark, The Calgary Peace Bridge. RabbitView is proud to have been selected to be on The City of Calgary’s preferred vendor list for on-going video production and editing services. 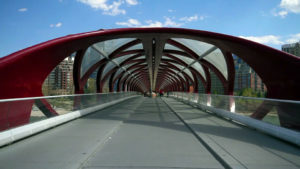 RabbitView has had the opportunity to film numerous city landmarks in Calgary and provided video services for essential city services such as The Calgary Fire Department and The Department of Transportation. We recently were tasked with filming Mayor Naheed Nenshi and the unveiling ceremony of one of Calgary’s historic Centre Street Lions at Rotary Park. These sorts of cultural monuments are important to providing a municipality with a distinct character and providing the images that are used to present the iconic landmarks is certainly a momentous responsibility. Building a stellar reputation through on-going commitment to quality customer service is the other very important factor. We take a great deal of pride in providing all of our clients, regardless of size, this same commitment to both quality production value and clear communication and customer satisfaction. Since 2003 we have had thousands of positive customer interactions and hold a A+ rating with the Better Business Bureau. It is our goal to continue to build our reputation so we can continue to work on new and engaging project s with a diverse set of clients.